Like many tiers I tie sportsman shows, fly shops and outdoor events where a power outlet are nowhere in sight. While I was in Lowe's the other day to buy some items for the home I cut through the lighting section and this OttLite caught my eye. Standing their like a deer caught in head lights I was shocked at the price I saw for this rechargeable reading light. I was look for a travel light some time ago and found the Battery Task Lamp from OttLite but it retailed for $129.99 US (no way was I going to pay that price). 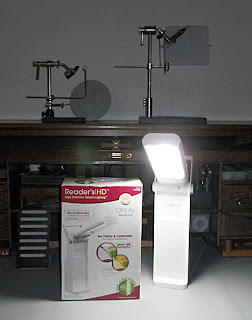 The Reader's | HD is $34.97 US in Lowes and you've guessed I pick it up straight away. It's a nice addition to the lighting I use at my desk, and lets face it the older you get the more light you need on your work area. If your looking for a new portable tying light I highly recommend this one. You can stop by your local Lowe's and pick one up or order on-line. 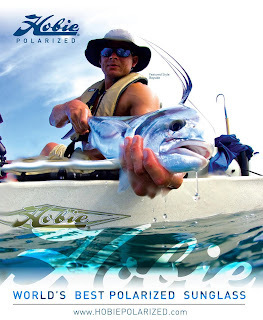 Less Than One Week Left on the Troutrageous Hobie Giveaway! Less than one week left to enter Troutrageous/Hobie Polarized Sunglasses Giveaway. It will end on Wednesday, June 30th. The winner will be selected on July 1st. 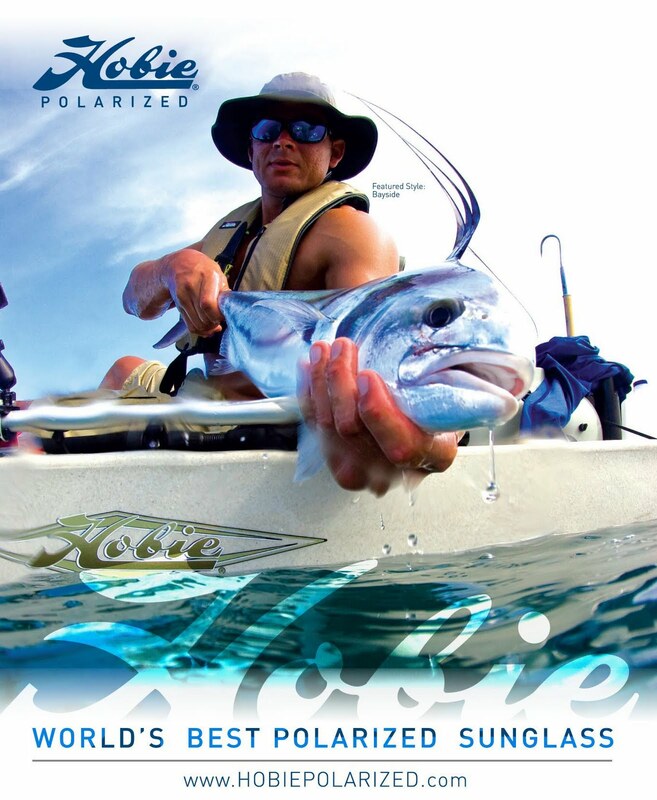 Go to http://troutrageous.blogspot.com/2010/05/giveaway-free-hobie-polarized.html to enter. 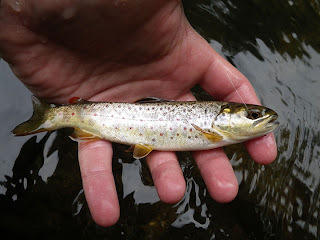 While doing research on traditional Japanese Fly Fishing "Tenkara" I came across a wonderful site by Yoshikazu Fujioka, Trout and Seasons of the Mountain Village. 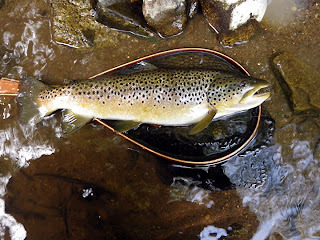 On the site you'll find information the the history of Tenkara, his favorite streams in Japan, the U.S. and New New Zealand, and his art work acrylics and watercolors (which he is best know). 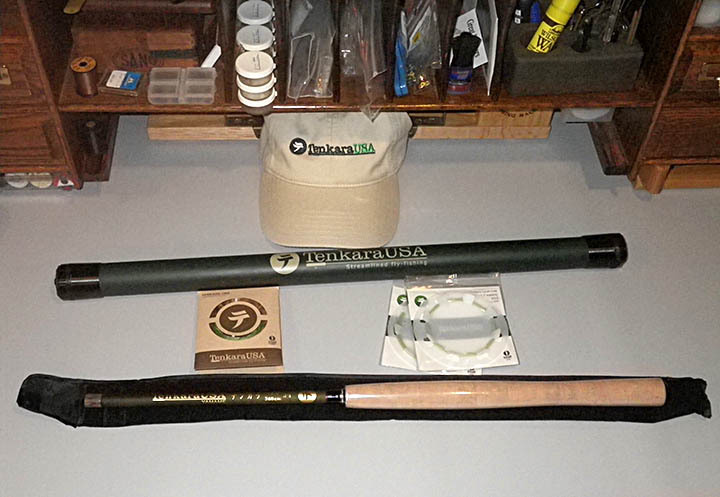 After a long day I found my new Tenkara rod, lines and hat waiting in the mail box. I can't wait to get it out on the water. Now what excuse to use at work? While on the river the other day I spotted some stone flies fluttering about. 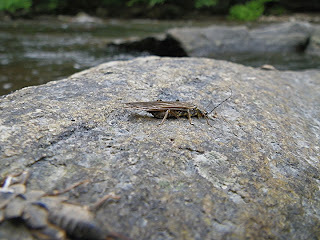 Here's a female waiting for the right time to lay her eggs. 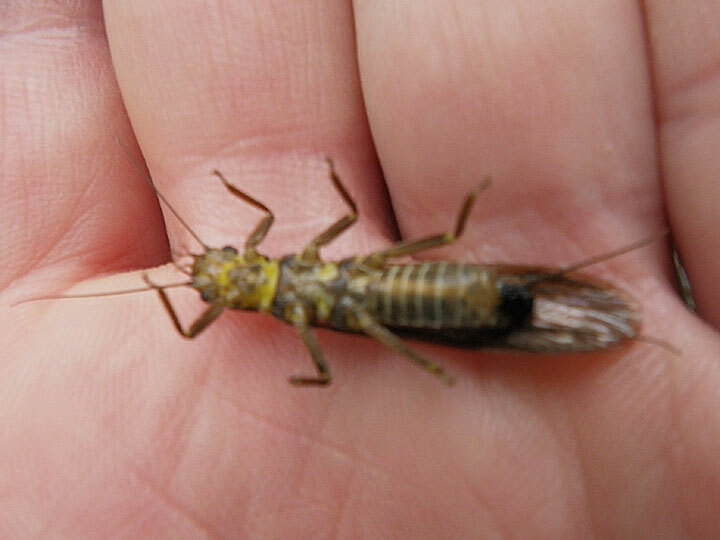 One thing I noticed was the difference in color between the head/thorax and the abdomen. I'm going to tie my stimulator a little more drab in the abdomen and high light the segmentation, just keeping the color to the head and thorax. 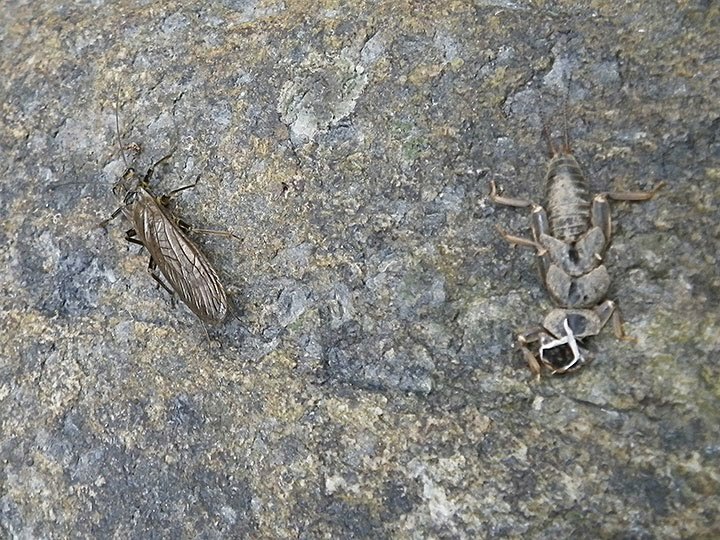 New Jersey Golden Stone and nymph shuck. I found this press release on Friday June 18th, 2010 "Beaverkill Press Celebrates "Land of Little Rivers" Tenth Anniversary with Relaunch"
"Land of Little Rivers" by Austin McK. Francis is a wonderful book on the story of fly fishing in Catskill region of New York. With stunning photography of the Beaverkill, Wllowemoc, Neversink, Esopus, Schoharie, and Delaware rivers. The pages cover the tackle (rods, reels, and flies) of the region, it's heritage, the people and maps. Full Leather w/Slip Case for a whooping $750.00 (though number of the edition is not given). The rivers of the Catskill are legendary in the history of Fly Fishing and Tying in America, and the Beaverkill, Wllowemoc, Neversink, Esopus, Schoharie, and Delaware are world class rivers. I've "cut my teeth on the Beaverkill, Wllowemoc, and Delaware and they are truly a treasure. After reading this book or "The Beaverkill" by Ed Van Put, you'll want to fish the area and I recommend you do. The two photographs are of the same Brown, notice the 5 dots under the eye. thinner this Brown looks from the one below. 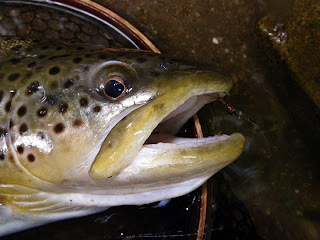 In this out water shot, notice how much wider this Brown looks. bends the light and reduces the size. These photographs were shot with a Pentax W90 . I'm passing along this promotion I've received via email from West Branch Angler and Resort. What's better than getting a West Branch Angler gift card this Father's Day? Getting a gift card for 10% off the purchase price! That's right. For this Father's Day only, buy any gift card and it will be valid for 10% of the purchase price. Buy a $100.00 gift card for only $90.00. Gift cards are for merchandise in the Fly Shop or lodging at West Branch Resort . 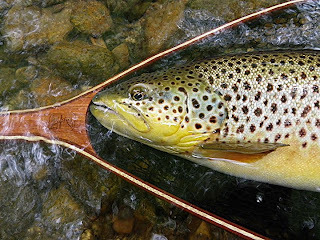 Feather-Craft Fly Fishing has a site for tiers to submit their unique patterns. See video below and link. Feather-Craft Fly Fishing also has a product giveaway, enter your name and email. You never know, here is the link. Pennsylvania Fly Fishing Museum Association (PFFMA) is holding their 8th Annual Pennsylvania Fly Fishing Heritage Day on Saturday, June 19th at the Allenberry Resort Inn & Playhouse on the Yellow Breeches Creek in Boiling Springs. 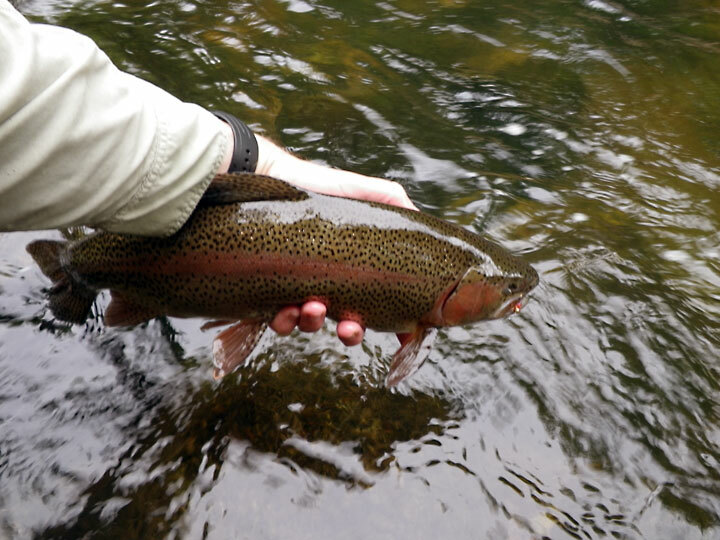 Fly Casting – One-on-one instruction and demonstrations. 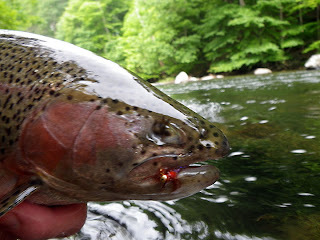 Improve your casting skills or try casting for the first time with expert fly casting instructors including Frank Angelo, Bobby Clouser, Ed Jaworowski & Dave Rothrock from 9am to 3:30pm! Fly Casting Competition – A fun and friendly competition for accuracy and distance. Open, Amateur & Youth Divisions. Fly Tying Demonstrations - Watch notable fly tiers demonstrate their favorite patterns. Aquatic Insects – Stream-side session on aquatic insect identification presented by Greg Hoover, specifically tailored for anglers. Casting Cane – Meet cane rod builders and try casting various spilt cane rods. Antiques “MeadowShow” – Just like the Antiques RoadShow, Jerry Girard (Historical Angling Artifacts) and Bob Selb (The Classic Fly Fisherman) will be there to evaluate and appraise your treasures. Rubber Fish Race – The fundraiser for the PFFMA is this fun and exciting Rubber Fish Race in the Yellow Breeches at 12:30, patterned after Rubber Ducky Races and the Kentucky Derby! $500 cash grand prize!! You do not have to be present to win! Plus Many Wonderful Fly Fishing Vendors and Exhibitors! 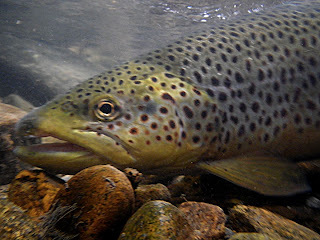 Visit Pennsylvania Fly Fishing Museum Association (PFFMA) at http://www.paflyfishing.org/index.html for more information. Frank Sawyer's Pheasant Tail Nymph is simply brilliant! It imitates so many mayfly of nymphs it a great searching pattern, but when a hatch is on and the fish aren't rising tie one on that matches the size of the natural. You'll be glad you did. Size matters only when your fishing with your buddy and dinner is on the line. But I could catch these wild Brown Trout all day. 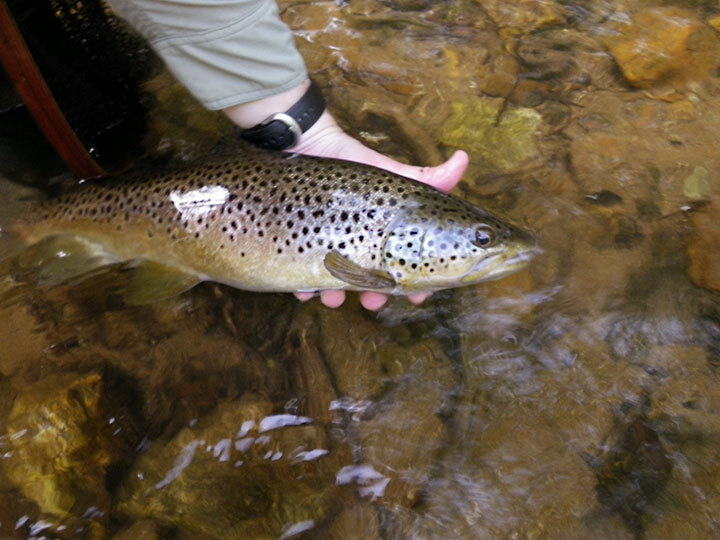 Just a brilliant wild Brown Trout. 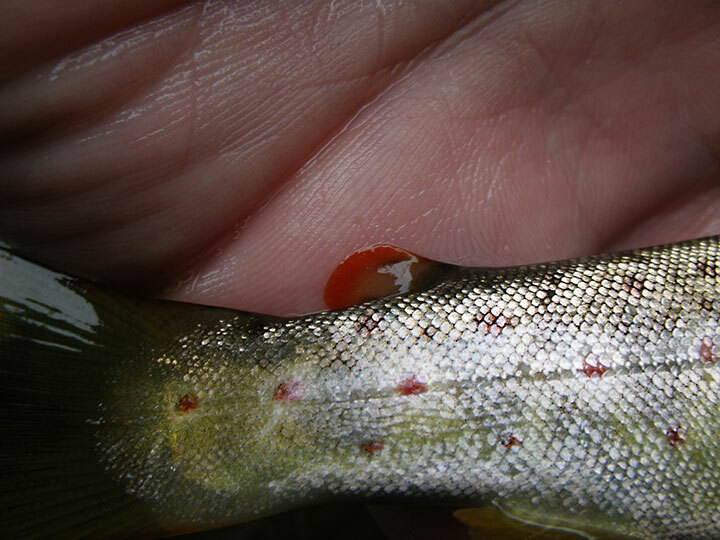 Just look at this bright red adipose fin. 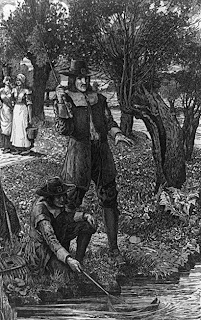 New Jersey is the most densely state in the nation. With that comes greater fishing pressure, so it's not on common for fish to lose an eye from an encounter with a fly. On the positive side a fish can an will survive even with one eye. Remember mash down those barbs. 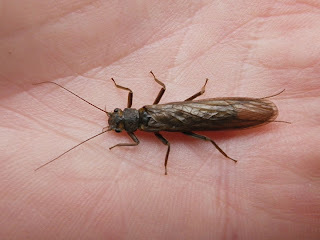 It's lost one eye in a battle some time ago, but still found my Tan UV Caddis. Fly and Fin is now tweeting. Here is Fly and Fin's new logo for the blog.